Quincy Quail is a bobwhite who lives in a nest next to Quail Creek in the woods surrounding Quail Run Elementary School. He grew to be the biggest in his family, and probably the biggest quail he's ever met himself. Innocent and somewhat naive, Quincy is a huge kid at heart, always curious and stricken with wonder. He is also a great runner, and while not the fastest, he paces himself to go far with the help of his trusty sneakers. Quincy is musical too, and can be heard whistling from outside his home in the woods. Quincy Quail is the nicest friend anyone could ever have. He is friendly to everyone, always doing good deeds and following the "golden rule". Quincy was so beloved at Quail Run that the school was practically named after him. Aside from his modest heroics and pride for Quail Run, he is also a hilariously animated entertainer, being and having as much fun as he can. 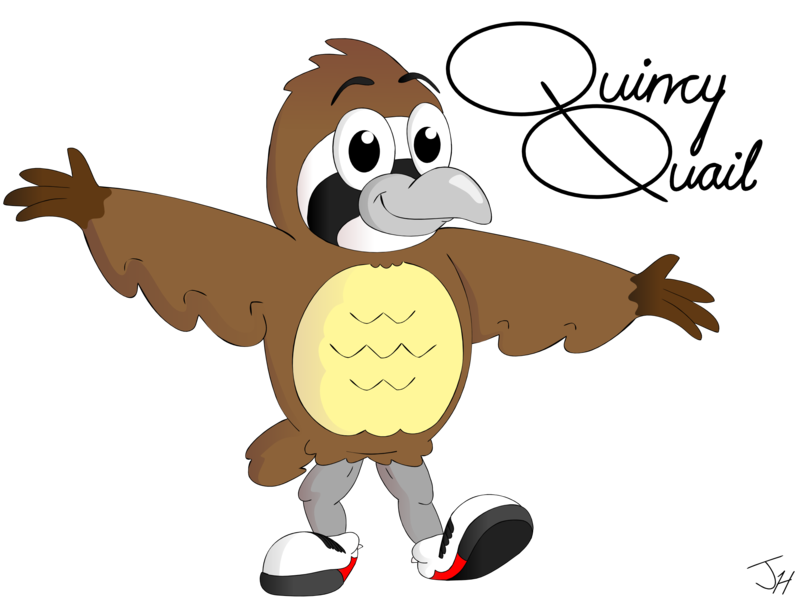 Quincy Quail's nemesis is "The HAWK", or Randall's alter ego. He finds himself having to stop The HAWK's frustrating misbehavior and teach him lessons, annoyed when Randall's bird-like actions get mistaken for his own. Quincy doesn't usually talk and often "forgets how to", but when he does, it's usually surprisingly deep words of wisdom. He can fly a little bit, but is still learning and getting used to it.